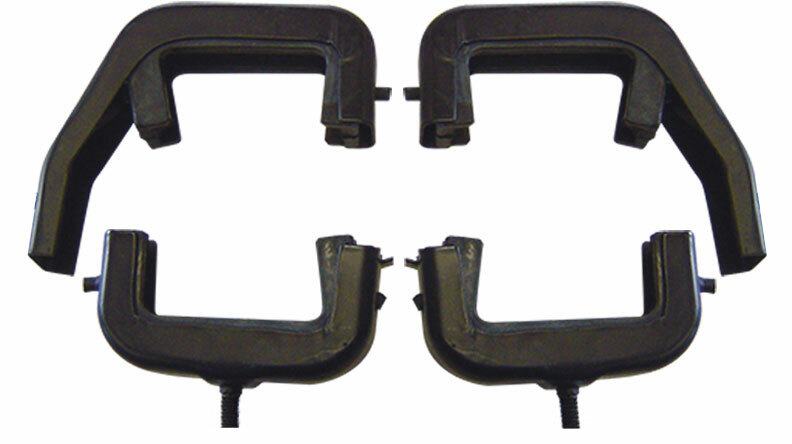 New Black 3-Core Radiator Insulators and Supports for 66-77 Classic Ford Broncos. This set includes 4 Black-Painted Supports and 4 Insulators for factory style 3-core Radiators. These brackets bolt onto the factory radiator hangers which are welded onto the radiator core support. These are a direct replica of the factory original mounts. 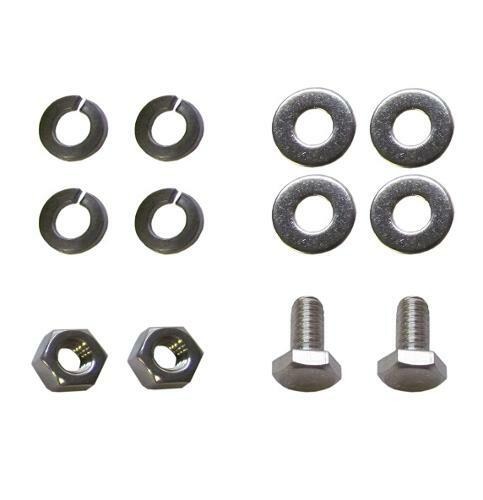 We recommend purchasing a bolt kit to replace the old bolts and nuts as well for a cleaner and easier installation. Fits 66-77 Ford Bronco with Factory 3-Core Radiator and 289, 302 or 351W V8 Engine. We also offer a Polished Stainless Steel Version. The major advantage of the stainless steel version is that the supports will not rust over time.